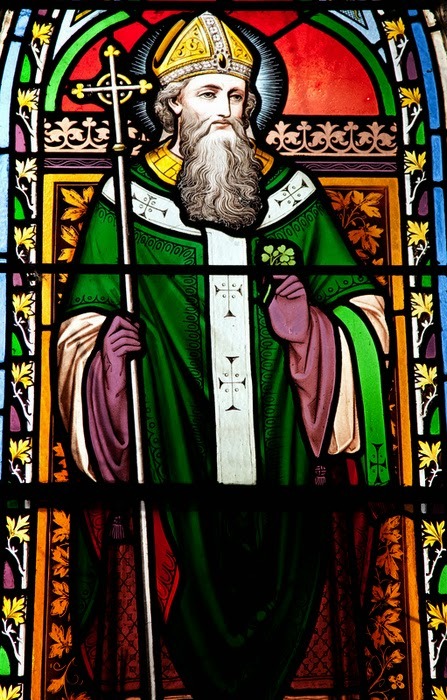 Saint Patrick is a popular saint, but most people don’t realize how humble and brave he was, and how good he was at explaining the things of God to others. He worked as a missionary priest in Ireland, going to the north and west borders where people had never heard about Jesus. Most of them were druids, following a pagan religion. Many people became Christians after hearing Patrick preach. Saint Patrick had to be creative in order to share the Gospel with people who had never heard of God, let alone Jesus. He used a plant that is very common in Ireland – the shamrock – to explain the Holy Trinity. Patrick would say that the one God has three Persons, just like one shamrock had three leaves. Here are instructions for making a shamrock out of strips of paper and a stapler from Sugar Bee Crafts.